Cartier celebrated the launch of its new creative jewellery collection: Les Galaxies de Cartier on Wednesday (January 23) during Paris Fashion Week. This new Cartier limited-edition jewellery collection, comprised of 14 pieces, addresses the idea of creatively exploring the cosmos with 4 distinct sources of inspiration: Stars in orbit, Fractal meteor, Alignment of the planets & Earth from the sky. 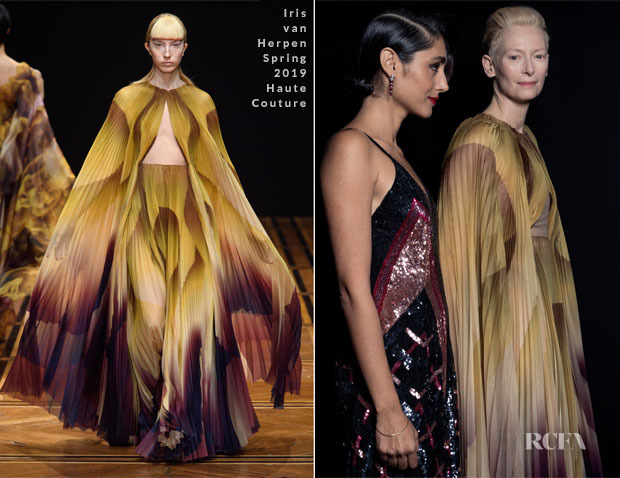 Tilda Swinton was in attendance, and she had me in orbit at the sight of her in this Iris van Herpen Spring 2019 pleated gown. It may not have been the one I had for her on my wish list, but let’s face it, she could’ve worn any of the pieces from this collection and we would’ve all been happy. 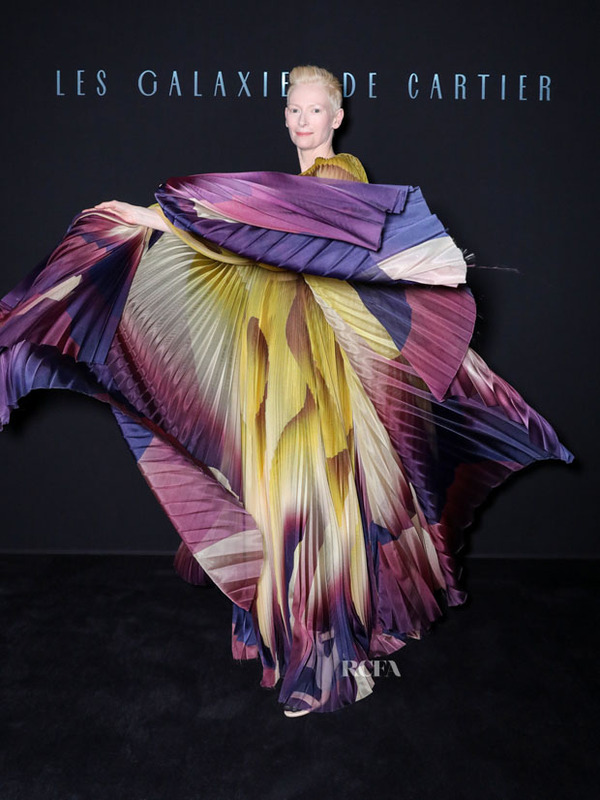 A piece of art such as this needed a person able to bring it to life, and I couldn’t think of a more perfect person than Tilda Swinton. Hopefully this union will continue, even though I’m not sure my heart can take it.